Happy hour at the bar from 5pm to 7pm. View Here for drink specials. Planning to bring a group of more than 10 guests in for all you can play? 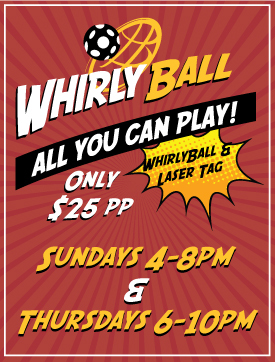 Please let us know what date you’re thinking: info@whirlydome.com Thanks!